Mechanical tests; these are linked to product characterisation in terms of performance (shock absorption, vertical deformation, slide, energy restitution, ball rebound, wear resistance…). 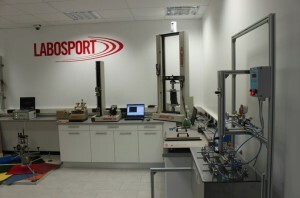 These tests allow assessing the product according to the following criteria: safety, durability and sport performance. 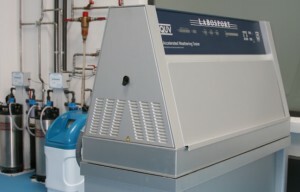 Chemical analysis; these are linked to the composition and stability of the product (metal content, filler content, material composition, TGA, DSC, UV resistance…). 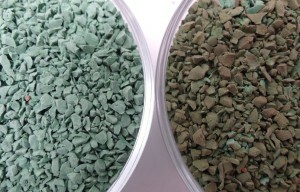 They typically assess the product according to the following criteria: toxicity, chemical wear and environmental impact. 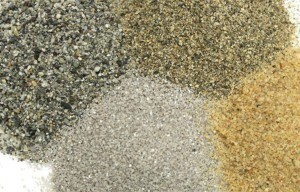 In addition it includes identification/classification of the materials. 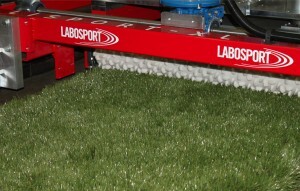 LABOSPORT can test all types of synthetic surface including synthetic turf, polymeric (athletics), acrylic (tennis), wooden (indoor) and many others. We are certified by all relevant governing bodies of sport to undertake their testing programmes and in addition can testing to all appropriate BS, EN and ISO standards.